In a victory for freedom of speech, the Home Secretary, Sajid Javid, has rejected calls for ‘buffer zones’ to be introduced outside abortion clinics, saying that they “would not be a proportionate response” to pro-life activities. This ironically comes as a pro-life charity has been banned from having a stall at freshers’ fairs in three different universities. Sajid Javid, the Home Secretary, has rejected calls to impose ‘buffer zones’ outside abortion clinics to stop pro-life supporters from protesting abortion, calling them a disproportionate response to what actually takes place outside these clinics. A recent review by the Home Office into violence and harassment outside abortion clinics has found minimal evidence of these activities, concluding that they “are not the norm, and predominantly, anti-abortion activities are more passive in nature”. In fact, the main activities mentioned are praying, displaying banners and handing out leaflets. Mr Javid also cited existing legislation, such as the Public Order Act 1986, saying that laws were already in place to stop harassment or intimidating behaviour outside abortion clinics. This means that police already have the power to impose certain conditions on any demonstration if they believe it could result in public disorder or its purpose is to intimidate others. Speaking to BBC Radio 4, Binda Rai, an Ealing Councillor who has actively supported abortion clinic ‘buffer zones’, argued that the law is unclear and allows women to be ‘hijacked’ in a “very manipulative process”. In April this year, Ealing Council voted to implement a Public Spaces Protection Order (PSPO) outside the Marie Stopes Clinic, which states that, “protesting, namely engaging in any act of approval/disapproval or attempted act of approval/disapproval, with respect to issues related to abortion services, by any means. This includes but is not limited to graphic, verbal or written means, prayer or counselling”. This so-called ‘buffer zone’ is still active. Clare Murphy, from the British Pregnancy Advisory Service, which provides abortion services in the UK, said that the charity would seek to work with councils to implement similar ‘models’ to that of Ealing to ‘protect’ women and staff from pro-life supporters. However, pro-life supporters said that their aim is simply to offer support to women who feel they have no other choice. Alina Dulgheriu was supported outside an abortion clinic and has said that when she met the group, “it was the first time that I felt I had a choice … If it weren’t for the real, practical and emotional support that I was given by them, my daughter would not be here today”. The Home Secretary has said that the matter will remain under review, however his statement rejecting ‘buffer zones’ comes as a welcome victory for pro-life supporters. Antonia Tully, of the Society for the Protection of Unborn Children said that “this is a massive victory for common sense, democracy and above all for the hundreds of vulnerable women who are saved from the horror of abortion at the very gates of the abortion clinic”. Andrea Williams, of Christian Concern, has said that this is primarily an “issue of free speech and freedom of expression”, and that people protesting outside abortion clinics are “just wanting to help people who are often facing a crisis and struggling to know what to do”. In his statement, the Home Secretary recognised that “in this country, it is a long-standing tradition that people are free to gather together and to demonstrate their views”. This news comes as pro-life charity, Life, has been refused a stand at Warwick University’s freshers’ fair, alongside two other universities that have rejected their application. Warwick Students’ Union said it supports a “pro-choice stance” following a democratic vote and therefore has no obligation to allow the charity on campus. The Office for Students said that although it ‘champions’ freedom of speech in universities, their responsibilities do not extend as far as students’ unions. 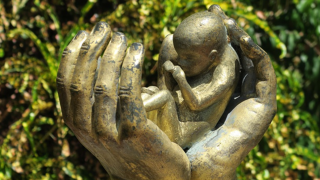 Anne Scanlan, the charity’s director of education, said that “Life has, on many occasions, been impeded in its right to freedom of expression on university campuses because of the actions of student unions, some of which have adopted a pro-abortion policy. “No university or institution on their campus should be allowed to discriminate against pro-life students or pro-lifers in general. While the government might be happy to back the freedom of speech and expression on this occasion, it appears we still have a long way to go in practice. As a Church, we need to stand up to protect life.